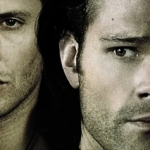 The mid-season finale of Supernatural left us with more questions than answers. Instead of getting some resolution to the situations of Benny and Amelia, instead we got complications and brotherly anger issues. Just another day in the lives of the Winchesters. When we started off the episode, I was very pleased to have Martin Creaser back. I liked him in “Sam, Interrupted” and I was interested to see how he would carry a hunt in the outside world. Well, he carried it alright, but I had forgotten that he was from the old-school, John Winchester generation of hunters, where there are no gray areas. If it’s a monster, you kill it, no questions asked. I’ve gotten so used to Sam and Dean’s continually moving moral lines that I forget sometimes that they aren’t the norm in the hunting community. When Dean wants to given Benny the benefit of the doubt and figure out an alternative explanation rather than Benny being a killer, Sam’s reluctant but okay with giving him some time. Martin, on the other hand, thinks the more time they waste, the greater danger they have in letting Benny get away. Two totally different approaches to the hunting lifestyle. And there were definite hints that Martin wasn’t all that mentally balanced to begin with, so throwing him into this situation was sure to be dangerous. 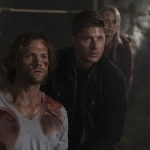 True, Sammy’s the one who dragged him in, but I’m sure the younger Winchester wasn’t anticipating that Martin would club Dean over the head, handcuff his unconscious body, and then split with Sam in order to track down Benny. And, not that Sam cared if Benny died, but leaving Martin to finish the hunt by himself was sure to end in the hunter’s death as well. Martin should have never been out of the hospital that soon, he should have never eased his way back into hunting by tracking down Benny, and he should have never hooked up with the Winchesters. Nobody lives when that happens. So, Benny was not the one leaving dead bodies strewn here and there across Carencro, Louisiana. That honor went to an old acquaintance of his, a vampire who was determined to push Benny into joining him rather than maintaining the domestic life he was trying for. You see, Carencro isn’t just some random town he happened into and diner worker Elizabeth isn’t just some random woman. This is Benny’s hometown and Elizabeth is his great-granddaughter. Remember that old line about how family is your greatest strength and greatest weakness? That’s true in Benny’s case, too. When Martin uses Elizabeth as bait to lure him back, Benny goes and even offers himself up in trade. However, Martin underestimated Benny just as much as Benny underestimated Sam. And now that Benny has made a kill, Dean’s put in the difficult position of having to hunt him yet not wanting to. Martin did have it coming, but Benny crossed the line, so somebody’s going to have to kill him. If it’s not going to be Dean, you can be sure Sam’s going to give it a go. 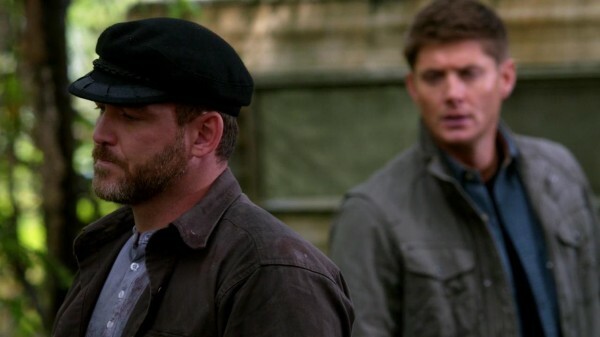 I was on Dean’s side, in that he knew Benny was probably incapable of such crimes, but I’m also tired of how he defends Sammy to others and then puts his brother down to his face. 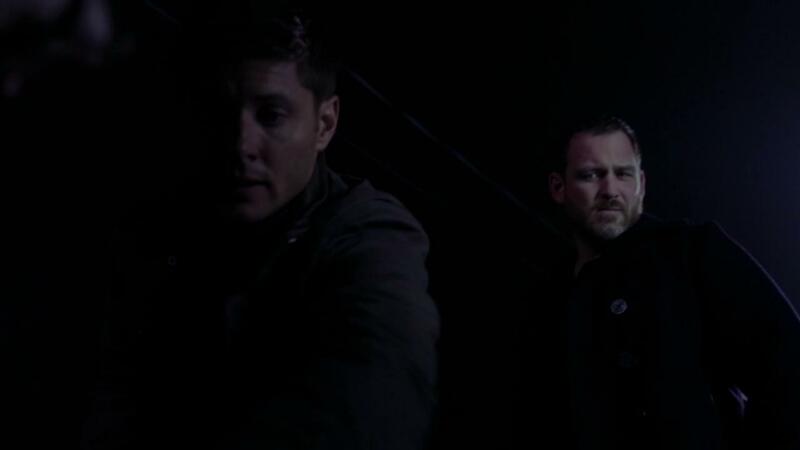 When Benny kept underestimating Sam, Dean reminded him that Sam’s not someone to mess with. His little brother is dangerous, especially when he’s got his sights set on something. Yay for promoting Sammy as the capable hunter that he is. And then as soon as he gets back to Martin’s room, Dean’s all about putting Sammy down and reiterating the fact that Benny’s never let him down… as opposed to the multiple times Sam has. I know they have problems, life-long problems, but stop demeaning Sam as an untrustworthy partner who Dean feels will bail on him given half the chance. Using Amelia as proof that Sam can never go back to the way things were was underhanded and also confusing, because I didn’t know Dean was capable of tracking Amelia down up to this point. Over the course of the season, I was sure Sam was remembering wrong. His flashbacks were too brightly-colored, too hazy around the edges, so his perception of what happened that summer was surely not rooted in reality, right? Apparently they were and all my speculation was for naught. 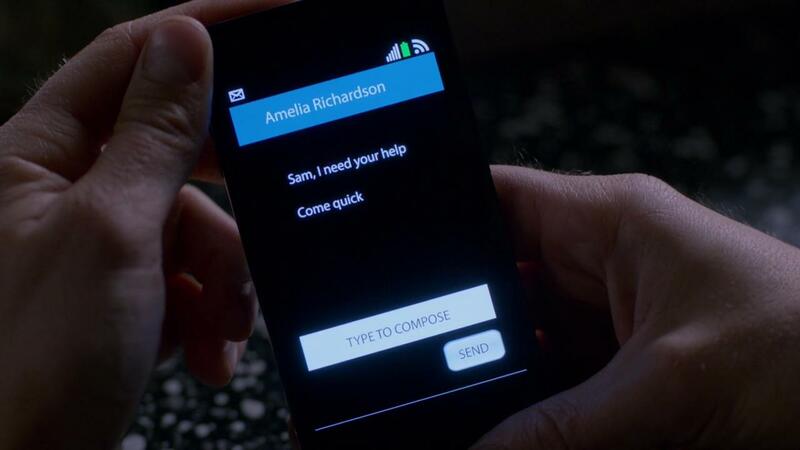 Amelia’s real, Don’s real, the summer actually happened the way Sam’s been remembering it? Jared teased that we’d get some answers as to the Sam and Amelia situation in this episode, but instead all I got was questions. He left, during the first episode, in the middle of the night. In the current flashback he was packing in full daylight and talked about it with Amelia. What’s real? I don’t know! And I’m not sure January’s going to answer any of those questions yet. Waiting, waiting, waiting… give me a worthwhile pay-off at the end of this, please? 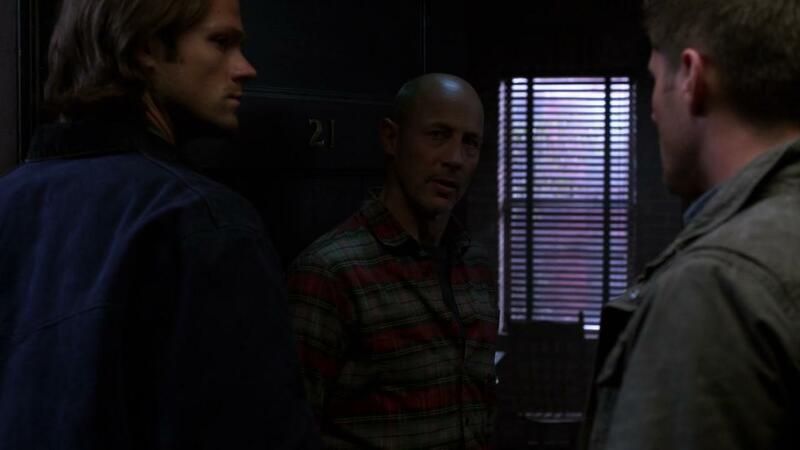 My recap of SPN’s midseason finale Citizen Fang is now up on @Fandomania http://t.co/qwcBQFDU I have more questions than answers for hiatus.